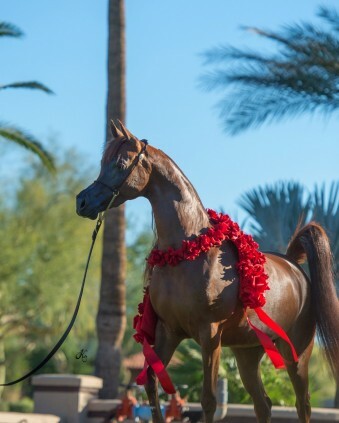 A rare and precious gem – an arrestingly beautiful filly with a unique and uncommon pedigree, MADORA MI perfectly embodies the infinite promise of her enchanting phenotype masterfully blended with her extraordinary heritage. 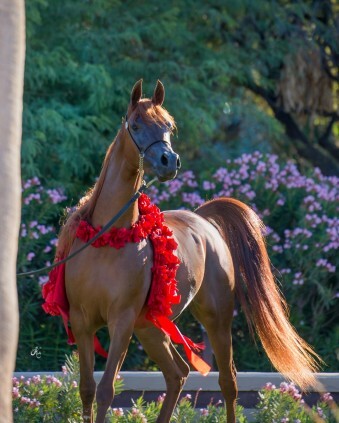 MADORA, whose name means ‘the Gift’, is exactly that: a gift of boundless possibility, as both a world-class show filly, as well as an ideal outcross for the world’s leading breeding programs. 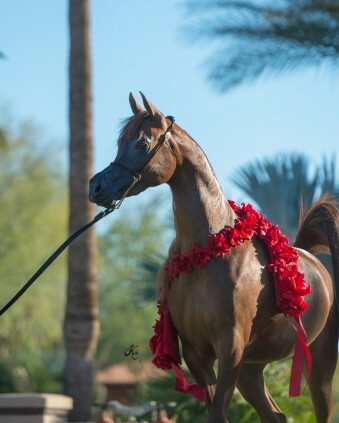 As a show horse, MADORA has already proven her worth in the toughest global competition, scoring extremely well and winning her show ring debut at the 2017 Scottsdale International with Keith Krichke. 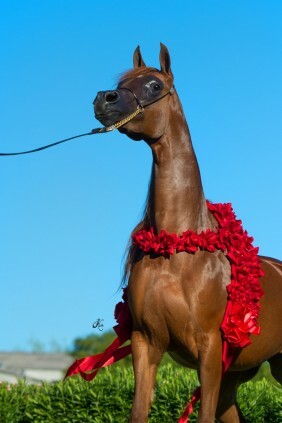 Like all of the best ALLEGIANCE MI get, MADORA exudes quality, presence and show attitude with inexhaustible enthusiasm, commanding the ring with confidence and charisma, while impressing with exceptional type and refinement, an uncommonly upright and elegant forehand, superb balance and structure, a remarkable topline, effusive tail carriage and a powerfully animated and dynamic trot. 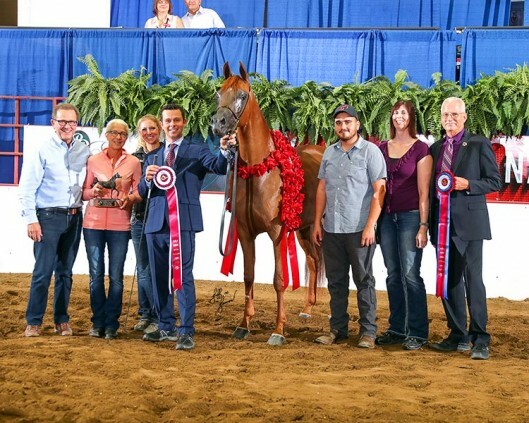 MADORA shares this superlative combination of uncompromising attributes with a host of ALLEGIANCE MI superstars, including international champions VENICE MI and ADVANTAGE MI; Australian Champions VENECIA MI, ALLEGIANT MI and MI MARIE; and rising global superstar A VISION MI. 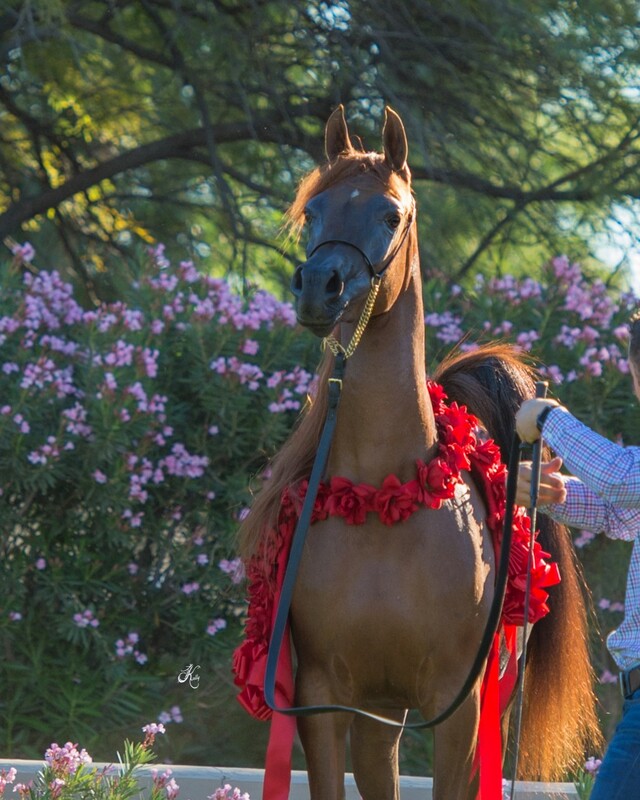 Maternally, MADORA is a member of the cornerstone dam family of MULAWA CHANCE, the best daughter of Mulawa foundation sire AMBITION (*Bask x Bint Ambara). 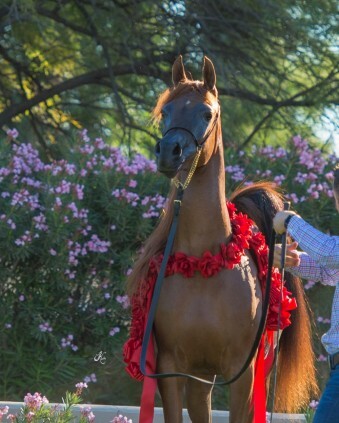 Blessed further with the commanding show stopping presence and trot of her beloved granddam FAMES HARMONY, MADORA brings the unforgettable appeal of multi-National Champion FAME MAKER R to modern day relevance, making her an infinitely rewarding opportunity we couldn’t miss out on.